The Division of Pediatric Critical Care provides comprehensive medical and perioperative surgical care to critically ill children from Syracuse and the surrounding 17-county area. Patients are cared for in a 15-bed pediatric intensive care unit (PICU) by an interdisciplinary team led by a pediatric critical care doctor. The team consists of general pediatric residents, intensive care nurses, respiratory therapists, pharmacists, dietitians, and child life personnel. Surgical patients are co-managed with surgery teams including trauma, cardiothoracic, general surgery, neurological surgery, urology, otolaryngology (head and neck surgery) and orthopedic services. 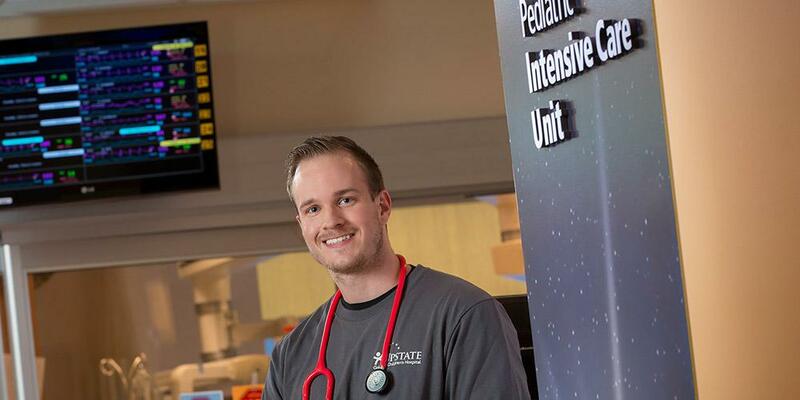 The Department of Pediatrics faculty represent all pediatric subspecialty areas and frequently provide expert consultation in caring for patients admitted to the PICU. Patient- and family-centered care is reflected in all that we do. You are part of your child's healthcare team and we want you to take part in your child's care. Last Modified: June 04, 2018. Contact Jenny Dickinson with questions about the content of this page.